Can de Blasio Make the Rents Less Damn High? 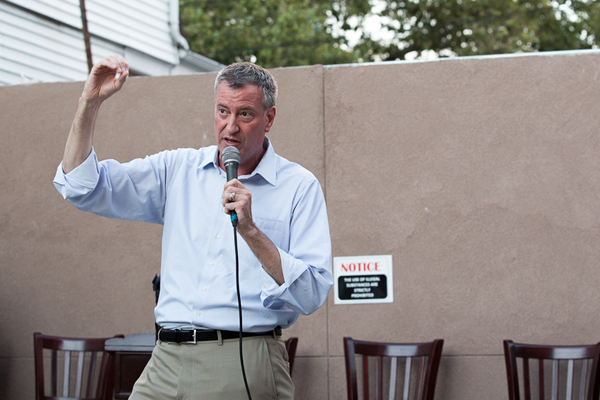 Mayor de Blasio seen during the campaign. He has three seats to fill on the board that approves hikes to stabilized rents in the city. 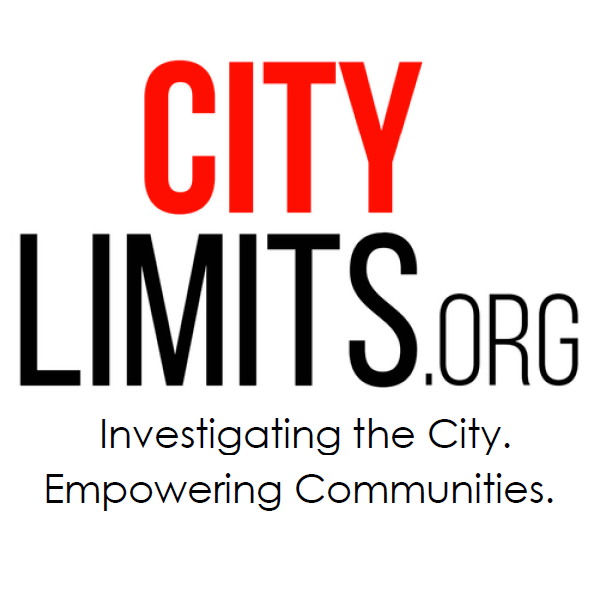 City Limits has teamed up with The Nation to cover the first 100 days of the de Blasio administration. Click here to read the series. High and rising rent doesn&apos;t cause income inequality—income does—but it &apos;s what makes life truly difficult for people who aren&apos;t rich, because it &apos;s the biggest expense for almost all households. Several government programs try to relieve that pressure, including public housing, Section 8 and the city &apos;s twenty-eight-year commitment to subsidizing the construction and renovation of affordable housing. All are vital, but none really offer much resistance to the insatiable beast that is the New York City real estate market. The only weapon that really does is rent stabilization. More than 987,000 apartments in New York—nearly half of all rental units—are rent-stabilized, meaning annual changes in rent are set by a body called the Rent Guidelines Board, or RGB. The mayor appoints all nine members of the RGB—a chair, four “public members,” two people designated to represent tenant interests and two who speak for landlords. In approving rent increases, they are supposed to take into account changes to the costs landlords bear (heat, taxes, labor and so forth) and other economic factors. Every year the RGB has a hearing about how much to raise the rent; in a ritual of political theater as dependable as the tides, tenants and landlords scream at each other and activists do their best to drown out anyone who talks a line they don &apos;t like. During the Bloomberg era—when the then-mayor saw rising rents as a sign of New York &apos;s success and a validation of his policies—the RGB regularly approved substantial increases in legal rents. The impact of those increases went beyond the monthly rent bill; if a rent-regulated apartment &apos;s monthly rent exceeds $2,500 and it is vacated, it exits the rent stabilization program. Last year, 6,700 units lost their rent protection that way. Every time the RGB raises rents, it moves every apartment in the system closer to the exit door. As of today, there are three vacancies on the RGB that de Blasio can fill—the chair, one public member and one tenant member. Two other members of the board (the other tenant rep and one landlord member) saw their terms expire last month; de Blasio could reappoint them. While he cannot replace any of the other members except for cause, the mayor certainly could swing the RGB into a pro-tenant body with his picks. A previous version of this post erroneously reported that there were eight members of the RGB. In the distance race that is a New York City mayoral administration, Bill de Blasio has moved beyond the starting-line cheers and into the long, grueling middle. The mayor described a progressive ideal that, he promised, would encompass everything his administration does from Day 101 on. Relive the first three months of the mayor&apos;s term, as reported by our Nation-City Limits blog.